Out of the various critically acclaimed IPs in Blizzard’s arsenal, none are more persistently exciting than Overwatch. Every now and again, the game offers something new to wet player appetites. Whether its cosmetics, a new map, new modes, or—most excitingly—new characters, there’s always something to inject new life into the game. Coming up, we have a new event. 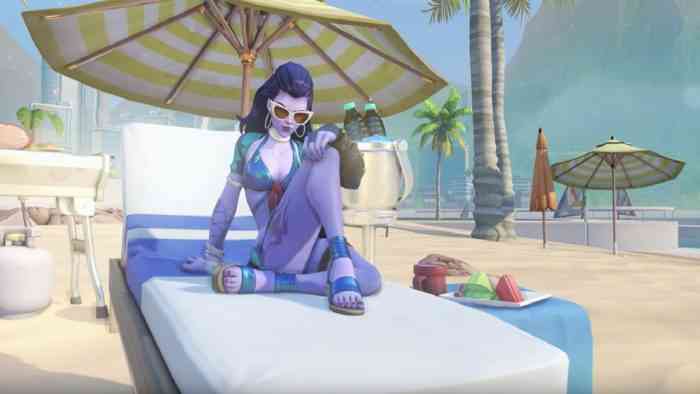 The Overwatch Summer games are on the horizon, which means new skins. Since this is an annual event, another year brings a new series of skins for several characters. Pretty soon, the entire roster will have a Summer wardrobe, and next up, we have characters Reinhardt and D.Va. Firstly, a new preview for D.Va showcases her “Waveracer” legendary skin.” It very much looks as it sounds: beach attire, a lifejacket, and everything; her mech also reminisces that WaveRunner aesthetic with its new paint job and style. Then we have Reinhardt, who looks more sporty than ever. “Gridiron” Reinhardt, as the skin is called, has the hero with a hammer wielding a trophy instead. His armor, too, looks completely different when you add a Football helmet and shoulder pads. It’s the kind of sport-mech merger you’d probably find in an anime. Overwatch’s Summer Games event will kick off on August 9th and end on August 30th. Last year, we witnessed a plethora of new skins for Soldier: 76, McCree, Widowmaker, and more. Therefore, it’s likely Blizzard will reveal a few more new character skins before the event gets underway. Stay tuned as we bring the updates.